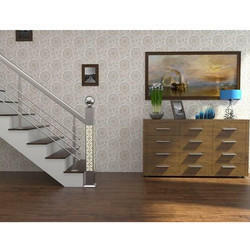 We are a leading Manufacturer of staircase lighting main pillar and sheet metal wall interior from Ludhiana, India. New for 2018 we are delighted to incorporate new ranges of custom made stairs, staircases, stair nosings and risers for home and commercial interiors. We pride ourselves on creating bespoke staircase design features in a range of materials including brass, polished brass, bronze, polished bronze and lots more. All images shows a unique staircase for a customer in London who wanted nosings designed and manufactured to reflect the original ceramic tiles, and combine new with old in a very modern and contemporary way. The results are stunning, and also add reflected light in the stairwell to highlight the Moroccan / Spanish elements throughout the beautiful interior. There is the budget-friendly option of implied textures created by repeating patterns or subtle color variations. Are you excited to find the perfect texture for your living room walls?. Other ways to express texture are more surprising, ranging from contemporary 3D wall cladding to full-scale art installations.Are you excited to find the perfect texture for your living room walls?Bright white marble tiles make this monochromatic living room look luxurious, sharp. Decorative panels. 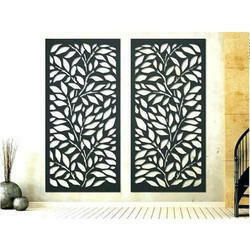 Take your interior to a whole new level with decorative panels that conceal the door. These panels slide horizontally on a track to expose the wall. Design tip: Design your own panels or choose from ready-made options from a local cabinet manufacturer. Obscured or etched glass inserts would also look fabulous.